Get ready to build your dream sports car. At least virtually. As Chevrolet begins to roll out the latest rendition of its Camaro performance model, you won’t have to wait until the car arrives at dealerships to get an in-depth look at it. Instead, Chevrolet’s official website has another option for you. At this moment, the online configurator for the 2019 Chevrolet Camaro is up and running. While most of the information that the Camaro configurator presents isn’t exactly new, there are a few details that were unknown until now. Most of those details concern the Camaro’s price and features. The 2019 Chevy Camaro’s base 1LS trim level will come with a pricetag of $25,995. This is remarkably cheaper than the 2018 Camaro’s starting price of $26,900. The savings only pile on from there. The 2019 Chevrolet Camaro 2LT model is approximately $3,000 less than the previous year. The Camaro ZL1 remains the most expensive version of the vehicle. It starts with an asking price of $62,495 for the 2019 model year. At the moment, the Camaro has fallen behind the Ford Mustang and the Dodge Challenger in terms of sales. Chevy’s sales strategy for the 2019 Camaro is to focus on higher-volume models with lower prices. The configurator also presents a better look at some of the 2019 Camaro’s new features. For example, the Camaro 3LT will come offered with an eight-inch infotainment screen equipped with the third generation of the Chevy Infotainment System. The configurator confirms the return of the “Crush” orange exterior for the Camaro. The hue made its debut last year alongside the Camaro Hot Wheels 50th Anniversary special edition vehicle. 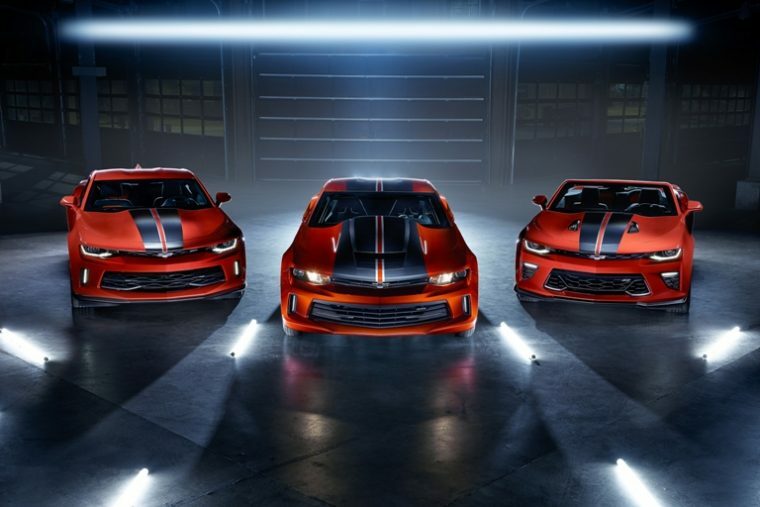 If you’d like to create your own custom Camaro, you can do so at the 2019 Chevrolet Camaro configurator, located here.